Detroit: These are testing times for Detroit’s big automakers as they puzzle over where to place their bets. Pickup trucks or driverless cars? Internal combustion engines or electric motors? Hardware or software? Now, an even larger question looms, just as a mobility revolution reshapes the industry: America or China? Tensions over technology, if not an outright cold war, are threatening to become a permanent feature of the US-China relationship. 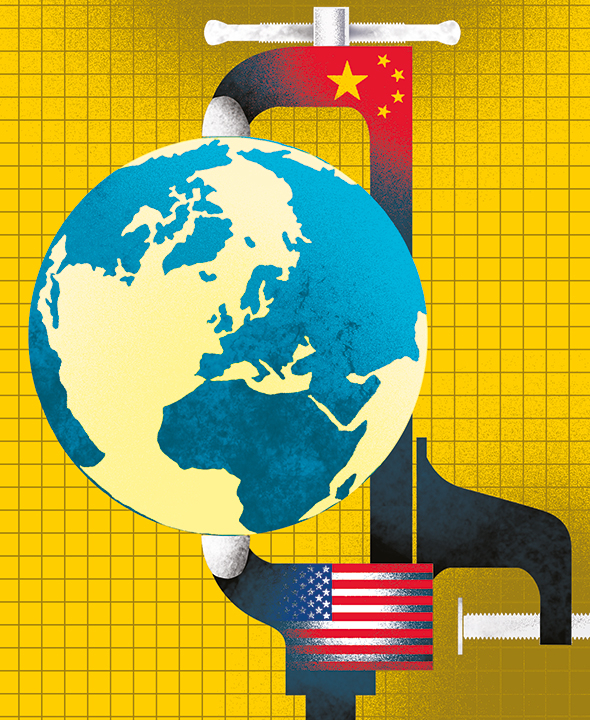 In an extreme case, as White House hardliners press to limit advanced technology exports to China, some US companies operating on the mainland could be forced to retreat to their home market. Hank Paulson, the former US Treasury Secretary, recently warned of an economic “Iron Curtain” falling between the two countries. US auto executives have as much reason as any to worry. Indeed, their dilemma illustrates how any serious US effort to block high-tech exports to contain China would be both delusional and self-destructive. While it would almost certainly fail in the long run, it would cause a good deal of needless disruption along the way. Realistically, US automakers can’t afford to detach from China. They’ve been borne along by the country’s extraordinary growth for decades; booming sales there saved General Motors Co. from going belly-up in the 2008 financial crisis. And, while the pace of expansion has slowed lately, sales of new passenger cars in China are still far higher than those in the US, Japan and Germany combined. No other country offers the same manufacturing scale. Without armies of low-paid Chinese workers, Apple would never have been able to make an affordable iPhone. The same pressures apply to next-generation cars. The driverless vehicles of tomorrow will essentially be smartphones on wheels, devices for delivering entertainment, shopping and other internet services. Like the iPhone and most of the world’s other electronic gadgets, they will be mostly made in China and rolled out globally. US restrictions on tech exports can slow, but not stop, this industrial march. Indeed, China is well on its way to an all-electric future. In their planned economy, Chinese regulators simply command automakers to produce electric cars and offer sweet deals to consumers — subsidies and hard-to-get license plates in megacities such as Beijing — to induce them to buy. By 2020, China is targeting annual sales of two million electric cars, 20 times the US number. Rideshare giant Didi Chuxing Inc. currently has 550 million riders, more than five times Uber Technologies Inc.’s worldwide total. America as a whole is addicted to owning cars — and will be for the foreseeable future. The gas-guzzling SUV remains a prime symbol of freedom. China, meanwhile, is installing lightning-fast 5G networks at least a year ahead of their planned roll-out in the US, giving it a jump on applications such as roadside sensors and radars that support autonomous driving. Increasingly, China will set industry standards. Much of the developing world will follow its lead. It’s a telling fact that today, while all the top-selling internal combustion engine sedans in China are foreign, every popular electric model is local. We’re reaching a critical moment. Last year, the US Commerce Department proposed export restrictions on a host of technologies, among them artificial intelligence tools such as neural networks, as well as positioning systems used in driverless cars. Officials are now debating how widely the ban will be enforced. Expansive or limited, the effect will likely be the same: China will source more know-how from Europe and Japan, and double-down on efforts to become self-sufficient in areas where it lags, such as advanced semiconductors. Smaller US companies that can’t afford the rigmarole of export compliance may give up on the Chinese market. Silicon Valley start-ups have already taken a hit as a result of new restrictions on inbound Chinese investment in sensitive technologies that took effect late last year. Howard Chao, the former Asia chairman of O’Melveny & Myers LLP, a law firm, says that in recent months Chinese-backed venture capital deals have “fallen off a cliff”. China has reason to worry, too. At the very least, deepening tensions will indicate a catastrophic breakdown of the world’s most consequential bilateral relationship. It is beyond time for China to address the root causes of US frustration, including closed markets and forced technology transfer. Removing caps on foreign ownership of auto joint ventures was a good first step. Next, China should throw open the doors to US tech giants, such as Google, who are leading the mobility charge but are now largely excluded from the mainland. Unlike the last one, this Cold War will have no winners.